They're set to phaseout for Tesla in 2019, with GM close behind, but could Congress extend or eliminate them? Federal tax credits of $7,500 were enacted in 2010 to help spur sales of electric vehicles, which was a priority for the Obama administration. Unfortunately they’re not permanent, and are scheduled to phase out during the calendar year after an automaker sells 200,000 EVs. Tesla has already reached that milestone, which means if you don’t take delivery of a Model S, Model X, or Model 3 by December 31, 2018, you won’t receive the full credit. The federal tax credit on Tesla models will drop to $3,750 for vehicles sold between January 1 and June 30, 2019. It will then be reduced to $1,875 for units sold beginning July 1, 2019, and will be eliminated altogether on December 31, 2019. General Motors is expected to be the next automaker to reach 200,000 total EV sales, and it should happen sometime during 2019. That would mean the federal tax break for the Chevrolet Bolt EV (and also the Cadillac CTS and Chevrolet Volt plug-in hybrids) would phase out beginning on January 1, 2020. Again, they’d drop to $3,750 on New Year’s Day, fall to $1,875 on July 1 and disappear on December 31, 2020. Nissan is the automaker that's next closest to reaching 200,000 sales with the Leaf, but it's probably still a few years away from hitting that mark. The irony here, critics say, is that eliminating the tax credit based on sales essentially penalizes automakers that were at the forefront of EV development and invested heavily in the technology early in the game. Tesla, which is as much a luxury-car brand as it is a purveyor of EVs, isn’t likely to see its sales suffer as much as would General Motors. The Bolt EV, which goes for around $28,000 after accounting for the tax credit, would effectively suffer a $7,500 price increase. That would give the vehicle’s closest rival, the Nissan Leaf, a big advantage, Deducting the $7,500 credit, the 2019 Leaf costs around $23,400. Losing the tax break could also adversely affect GM’s future EV plans, or at the least might force the company to sell its electrified rides at a loss to remain competitive with makers whose models are still eligible for the credits. To that end, Representative Peter Welch, a Democrat from Vermont, introduced a bill that would replace the current sales-based system and enable a tax break for all EV buyers for the next 10 years. It would also swap the current tax credit for a direct rebate from the government. 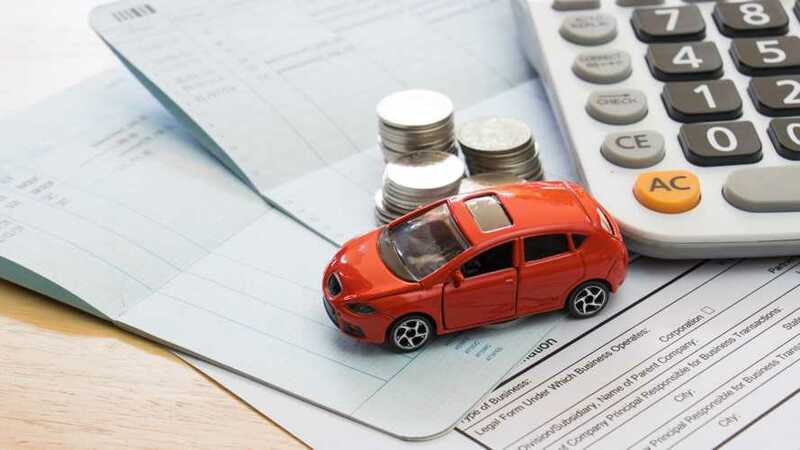 As it stands, EV buyers have to file with the IRS along with their annual income tax forms in the year after buying an EV to receive the credit. What’s more, those who pay less than $7,500 in taxes lose a portion of the incentive. A similar bill was proposed in the Senate by Dean Heller, a Republican representing Nevada. His legislation would likewise eliminate the 200,000-vehicle cap and allow for the full $7,500 EV tax credit through 2022. After that it would phase out for all automakers. On the other hand, some in Washington feel the best way to handle the situation is to eliminate the tax break altogether. Senate Environment and Public Works Chairman John Barrasso, a Republican from Wyoming, has introduced a bill that would do just that. His legislation would not only immediately end the tax credit for all automakers, it would impose a new tax on EV owners (who otherwise avoid paying gasoline taxes) to fund highway repairs. As one might expect, Senate Democrats are opposing Barrassso’s bill. “Repealing a policy that helps combat climate change is the absolute wrong decision,” says Senator Ron Wyden from Oregon. It’s uncertain when – or if – any of these bills will come up for a vote on the floor of the House or Senate. Legislation can be slow moving as it is, and any action would likely be put on hold until after January when the full House and newly elected members of the Senate are sworn in. And with fresh blood coming to Washington, there’s no telling how this might play out. In the meantime, act fast if you’re in the market for a Tesla or Chevrolet Bolt EV.